Republican Arizona Senator dies at age 81 after a battle with cancer. U.S. 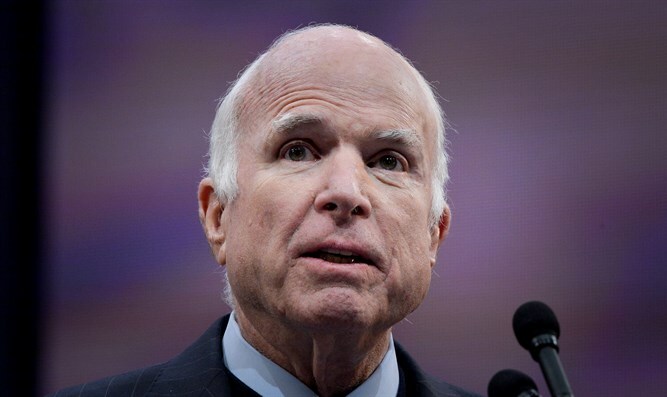 Senator John McCain passed away on Saturday at the age of 81. McCain has been absent from the Senate this year due to his illness, and cast his last vote on December 7. Before he left, treatment has forced him to use a wheelchair in his final days in Washington. McCain was born at a U.S. naval air station in the Panama Canal Zone in 1936, the son of John S. McCain Jr., who would go on to become the commander in chief of the U.S. Pacific Command, and Roberta McCain. He graduated from the U.S. Naval Academy in 1958 was later deployed as a naval aviator flying attack missions over enemy territory during the Vietnam War. On October, 26, 1967, McCain’s Skyhawk jet was shot down over North Vietnam by a barrage of surface-to-air missiles. He ejected from the plane but suffered serious injuries, breaking both arms and his right leg. He spent the next five and a half years in captivity as a prisoner of war. First elected to the Senate in 1986, McCain challenged George W. Bush for the Republican presidential nomination in 2000, losing the nomination. He became the GOP nominee in 2008, losing to Barack Obama and returning to the Senate for the next nine years. McCain was a staunch supporter of Israel and was critical of Obama’s relations with Israel, saying in 2015 that the relationship between the United States and Israel is “the worst that I've ever seen in my lifetime”. He also attacked then-Secretary of State John Kerry's efforts to force through a peace agreement with the Palestinian Authority on Israel, calling him a "human wrecking ball" at one point. Despite his poor health in recent months, he continued to have an active influence on the debate in Washington. Obama too expressed his condolences over McCain’s death and said, “Few of us have been tested the way John was, or required to show the courage that he did. But all of us can aspire to the courage to put the greater good above our own. At John’s best, he showed us what that means. And for that, we are all in his debt. Michelle and I send our most heartfelt condolences to Cindy and their family.